Craft Year is a special project led by the CCF/FCMA in partnership with all of the Provincial and Territorial Crafts Councils and our Affiliate Members across the nation. A year-long festival of contemporary fine craft, Craft Year promotes events from all over the country. 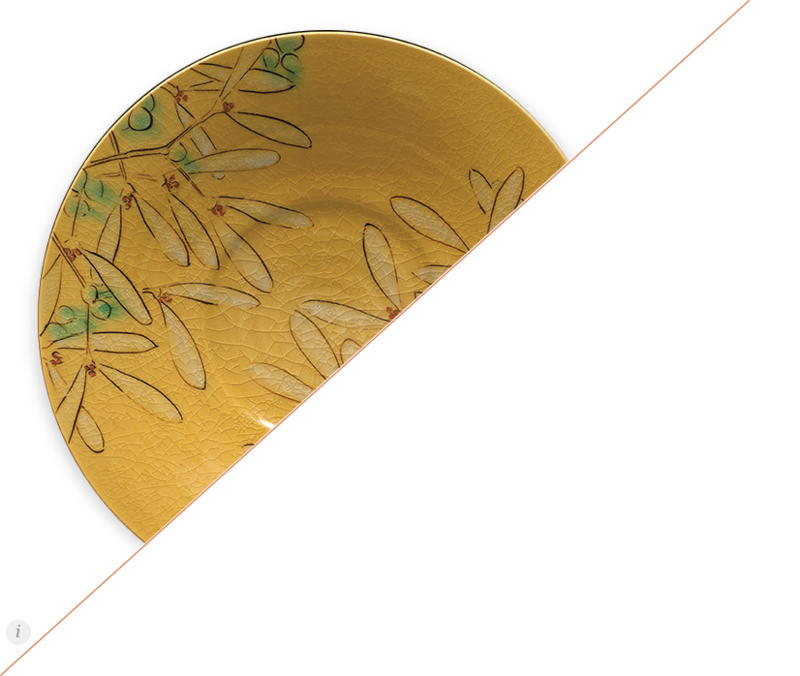 It is a platform to highlight Canadian craft activity at the local, regional, national and international levels. How do we do it? By encouraging craft activity in and outside the sector, encouraging artists and arts organizations to push themselves to do something new. That major project you’ve been dreaming of? Make it happen. A personal craft challenge? Take it on! Always wanted to bring craft to a new audience? Make new connections! Reach out to the healthcare, education, business, social and cultural communities in your region to see where you could partner to highlight craft. Challenge yourself – and each other – and celebrate the vast field of craft in all its forms. Then, tell us all about it! The CCF/FCMA will track and promote craft events and activities including exhibitions, festivals, fairs, studio tours, fundraisers, book launches, publications, seminars, conferences, symposiums, educational programming, public events and more. If fine craft is a part of the plan? Then we want to know about it. Watch for more information on how to submit your craft project for inclusion in the listings and in the meantime – get creative! In the first installation of Craft Year in 2007, we thought we might reach 50 to 100 events across the country throughout the year. By years end, 712 events had been registered, deeming Craft Year 2007 an international blockbuster hit. In 2015, the second installment of Craft Year reached 884 events – an increase of 19.5%. Find out more about what events took place and where, as well as the online Craft Year experience, in our Craft Year 2015 infographic here. For Craft Year 2020, we’re aiming for an even bigger and better celebration of craft, but we can’t do it without you! This is a wonderful opportunity to create special craft related events and activities specifically for Craft Year (or to brand your already-planned events and activities as Craft year 2020 special events). Want to start promoting your organization’s events even BEFORE 2020? Visit citizensofcraft.ca, create a profile for your organization, and publish your Craft Year 2020 event to our craft directory. 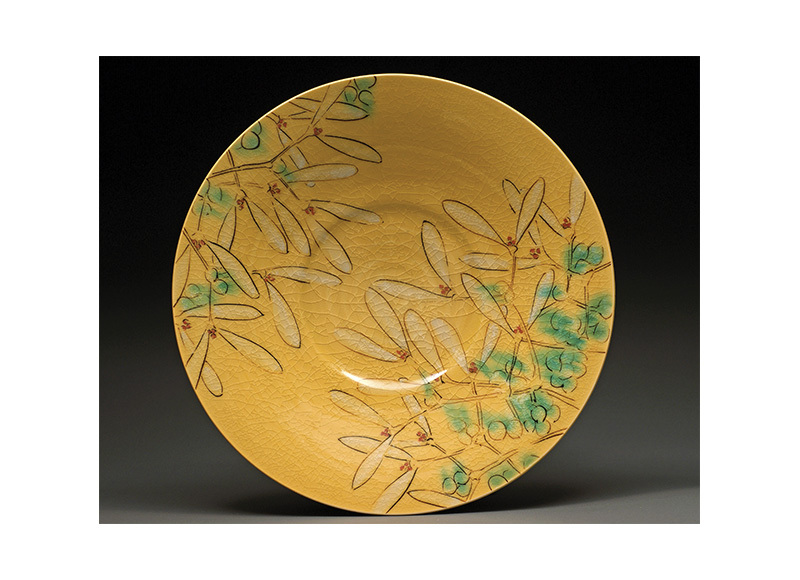 If you are a member of a Provincial or Territorial Craft Council, create an artist profile to get your work on the site today. What are you doing for Craft Year 2020? 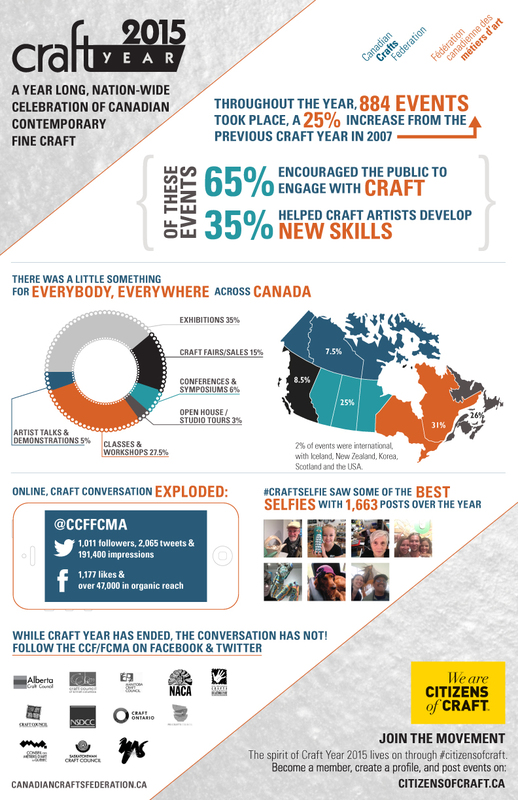 A nationally collaborative project, citizensofcraft.ca is a marketing campaign intended to help every craft based artist, organization, association, educational institution, or otherwise, to reclaim the word ‘craft’, and to bolster its recognition in society. Declare yourselves as #citizensofcraft TODAY, and join us as we work together towards an expansion of the public’s understanding and appreciation for craft. Immense credit must be given to Craft Ontario, who spearheaded the endeavor and continues to lead the project on behalf of all the Craft Councils to make Citizens of Craft a reality. This series, hosted by Canadian Crafts Federation Director, Maegen Black, brings together the voices of craft artists, curators, educators and collectors who speak off the cuff about craft practice and its role in their lives. Each episode addresses one of the ten manifesto statements from the Citizens of Craft movement. Join us as we animate the story of craft through the values we hold dear. This project is made possible through extensive partnership with voicEd Radio, and the generous support of the Canada Council for the Arts. INTERESTED IN BECOMING A PODCAST SPONSOR? CHECK OUT OUR OFFICIAL 2019 SPONSORSHIP PACKAGE HERE.